Tru, Liza, & Lily planted wheat grass for our Gardening Theme at preschool last week. These cheerful cups are in the window sill being something green to our world. Snow… fluffy snow was in the forecast. The kids were delighted to watch it from inside. 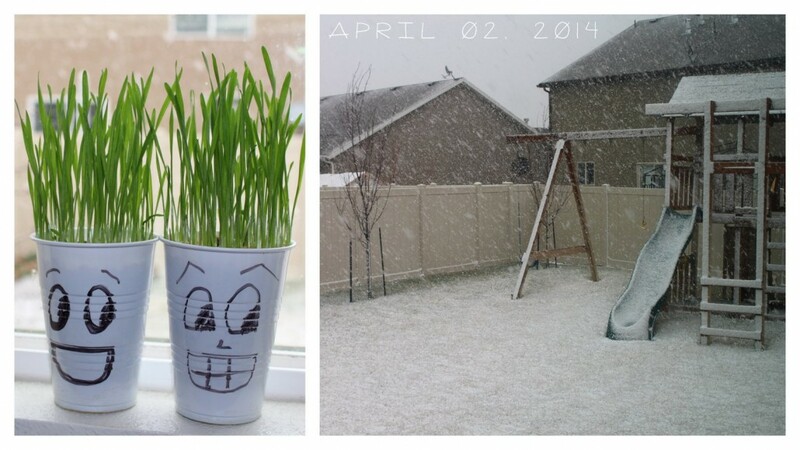 Welcome to Spring in Utah! Jimmy and I have 6 kiddos.